Alright, so I played last night, I’ll admit it. I worked myself into a corner and wanted to clear the mind a little bit … so … yeah. It was time to conquer the Ancient Cistern and purify my blade … or at least purify it a little bit. 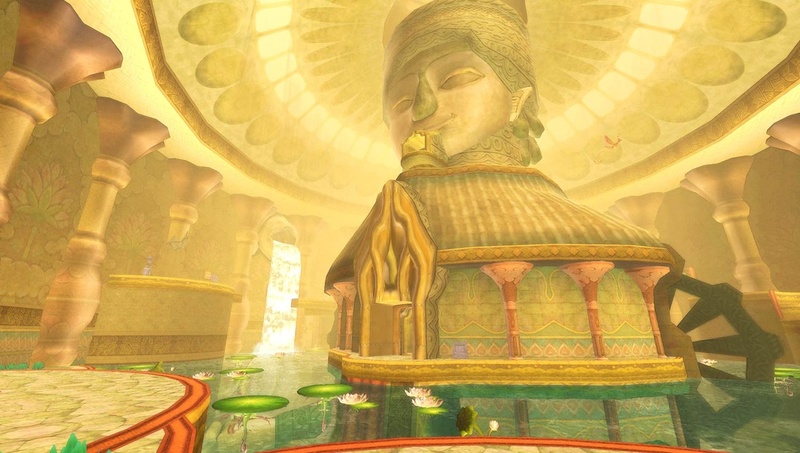 The level design this time was pretty amazing and I was impressed with how varied the different sections of the temple were. Well, they’re cursed, and they take quite a beating, but it is an entirely different area with its own art direction and puzzles and … undead enemies! I liked it. It’s all purple-y and stuff. It’s a great design and varied as well. The whip that you receive opens up a lot of new possibilities (including grabbing the tails of some birds, bringing them close enough so that you can slash at them), and I’m excited to keep going ahead. I died again during the boss battle, mostly because I made some mistakes at the very beginning. Playing through it a second time was much simpler, and wielding its own weapons against it was satisfying. I now have an updated sword, a new shield, learned a new song, and am heading back to the desert to take on the next trial and get this show on the road! Previous Previous post: Skyward Sword Day 6: Dragons!? Next Next post: Windows Phone 7 too good?